Pride in ownership is an understatement with this home! 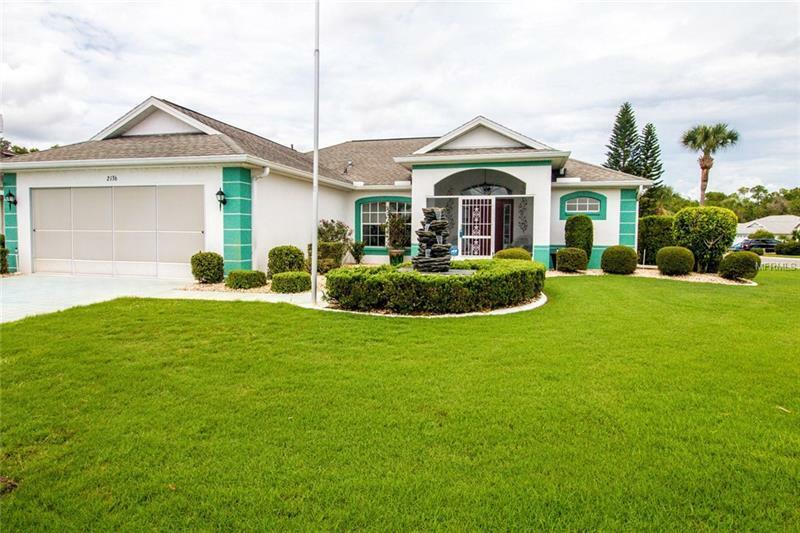 Very rare opportunity to own a completely remodeled house in the heart of Suncity Center. This 2 bed and 2 bath home, features a brand new kitchen, brand new floors, and completely updated bathrooms. You will be amazed at how bright and airy this one feels! The kitchen has all stainless steel appliances, upgraded cabinetry, and beautiful granite counters. Home also features water softener as well as a custom floating island, so that you can enjoy prepping your meal from any spot in the kitchen you choose. The entire home features fresh modern paint, crown molding, and wood grain ceramic tile throughout. The Split bedroom plan is perfect for having guests and you have plenty of room to entertain in your 16 x 18 Florida room that has a spectacular view of the pond! Sun City Center is the perfect place to be and offers a wide range of recreational facilities, golf courses, indoor and outdoor swimming pools, arts and crafts, hobby clubs and much more, and this is the perfect house to be in! Completely ready for you to move in and make it your own!